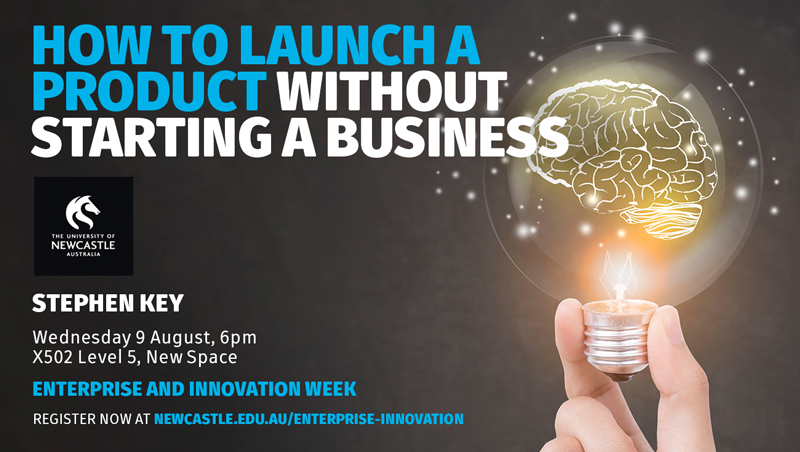 Let Stephen show you how to apply a few simple techniques to bring an idea to market! For all speaking inquires please contact media@stephenkeymedia.com. April 16, 2018 — Inventors Network of the Capital Area (Washington D.C.) Meet Stephen, Andrew, & David. 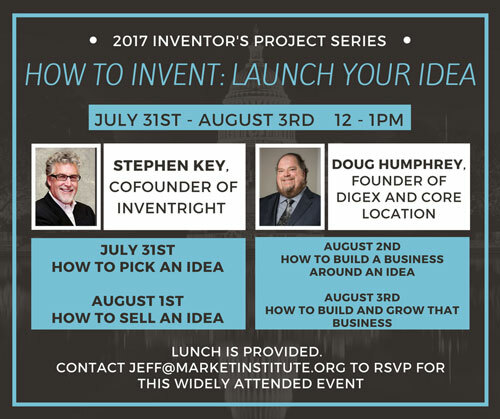 July 31 & August 1, 2017 — How to Invent: Launch Your Idea – Capitol Hill Inventor Series, Washington D.C.
July 10, 2017 – The Power of Inventing – Mesa, AZ. Featured Speaker at a Google Talk event. Speaker at The Perfect Pitch – Sharing stage with billionaire Richard Branson & 30 other notable speakers. Speaker at College of Art and Design, Pasadena, CA – #1 Art & Design School in the U.S. The Dr. Phil Show – Expert guest. SVASE Panel Speaker Along With Jack Canfield and Others. Guest Lecturer – Everyday Edisons PBS Television Show Casting Call. Speaking along side Loral Langemeier, Harry Dent, Mark Victor Hansen, Joel Comm and others. 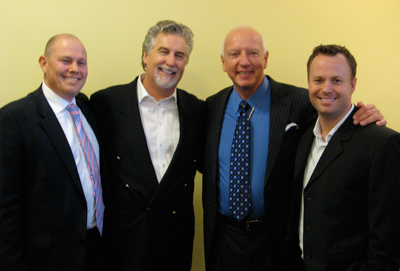 Pictured with Stephen above left to right are Greg Klopper, event organizer; Mark Victor Hansen, Best Selling Author of Chicken Soup For The Soul; and Kerwin Rae, Sales & Marketing specialist. “I want to first thank you for coming to Minnesota to speak to our group it was definitely motivational and I’m looking forward to see you back in Minnesota soon. “I wanted to send a quick note to say thank you for coming to Minneapolis and sharing your wisdom. I am the guy who sat to your left in the front row with my little girl and my wife. She loved the Mickey Mouse guitar pick you gave her. It went to school with her to show her friends the next day. She has also been talking non-stop about her invention ideas! Here are a few comments from a webinar that Stephen did for the American Society of Inventors. Richard — I really enjoyed the event and I thank you for it. I hope to take advantage of more. Inge — I thoroughly enjoyed this webinar. The information and enthusiasm were invaluable. Patenting and marketing and all that that entails are just too expensive and risky for me. I have been sitting on my ideas for years, and I will now renew my efforts in research and product evaluation(s) and I am working on my benefit statement(s). The Sell Sheet recommendation is a fantastic idea and also great for web page content. My only regret is that I missed the initial 15 minutes of the webinar.